From saturday 7 february to sunday 15 february 2015. Saturday 07 february, saturday 14 february - Viale delle Palme from 02:00 pm: SKATENATEAM mini bike obstacle course, Carnival train, rides and theatrical laboratory for boys. Sunday 08 february, sunday 15 february - from 02:00 pm: carnival floats, pirates on stilts, costume parade, music and Brazilian percussion. Thursday 13 february - Casinò di Arco from 09:00 pm: ArcoRida comedy show. 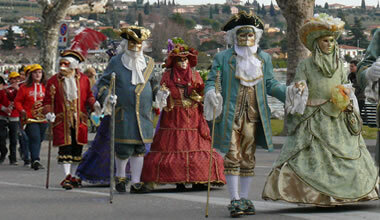 Saturday 14 february - Casinò di Arco from 09:00 pm: masked ball. From 02:30 pm - to 07:00 pm from Gramsci square arrival in the harbor square: carnival floats, costume parade, inflatable games and music. From Tuesday 17 february to wednesday 18 february 2015. 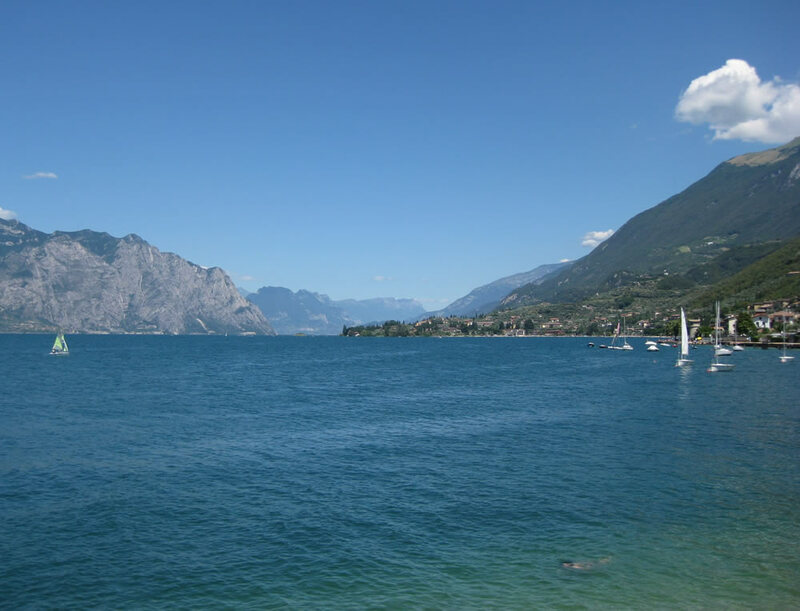 Tuesday 17 february - on the lakeside Marconi: masks, music, kiosks with gnocchi, sandwiches and frittelle, inflatables for kids. Wednesday 18 february Arco street: investiture Cape Valar, mask parade along the streets of city center and food stalls with fried fish. Thursday 12 february and Tuesday 17 february 2015. Thursday 12 february - square of Church of St. Joseph from 12:00 am - to 15:00 pm: free distribution of macaroni with meat sauce. 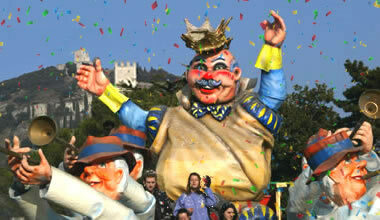 Tuesday 17 february Carnival party - Square of the Mimosa from 14:00 am: masked parades, music and entertainment. Sunday 15 February from 14:30 pm. Sports hall: parade of carnival costumes, music, frittelle, inflatables, jugglers, clowns, acrobats, stilt walkers, and a lot of fun. February (waiting for official confirmation). Vittoria square: mega inflatables for all ages, 4D cinema, magic show and Frittelle. Sunday 15 February and thursday 17 february. Parish of Colombare and Lugana: animation, various games, inflatable games, awarding the best mask and distribution of frittelle and drinks.